The rain was coming down heavy in Allentown to start July. Historically, the region receives 0.15” of rain on 7/1 with the record being 1.16” of rain in 2013. That record was shattered as it dumped 1.6” of recorded rain in the region. 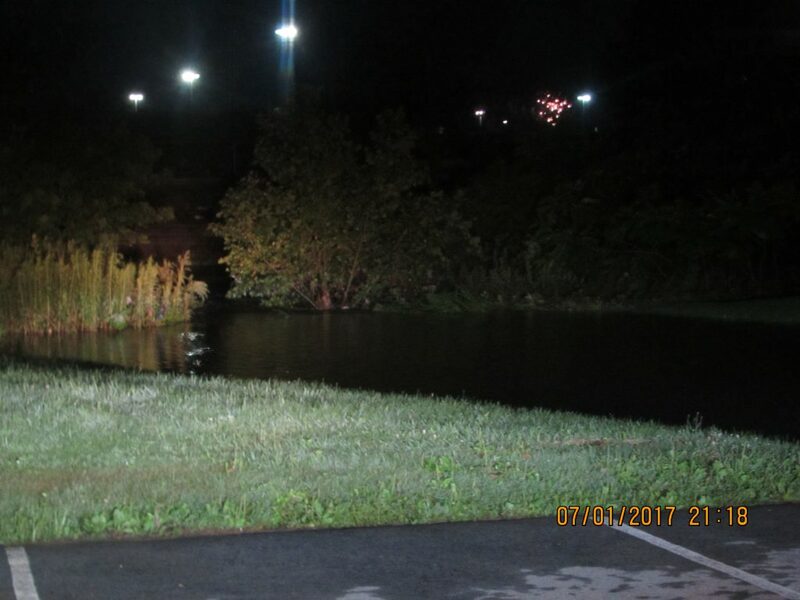 Because of this extra rain and the layout of the nearby parking lots and storm water system; the canal behind Crest flooring overflowed. This muddy water flowed into the building, causing significant damage to their building and inventory. The extent of the damage to the building was extensive; They contacted Cityline construction for help. Our teams responded that night with crews arriving at the scene to mitigate what they could and to develop an action plan for restoring the building. The depth of the muddy water in the facility caused significant penetration of the floorboards. The extent of the damage became apparent when the carpeting was pulled and the sub-floor had a pooling of water. The most important part was to restore and recover as much of the inventory as possible. 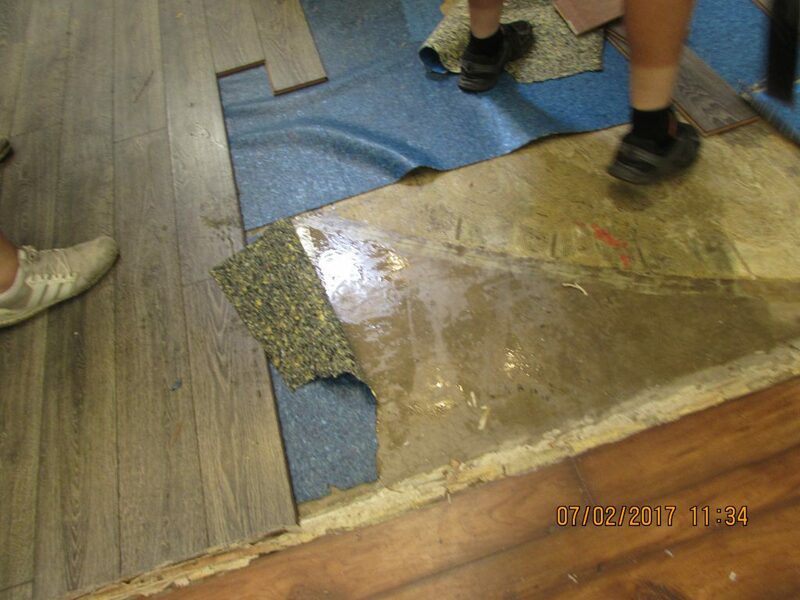 Our crews went to work pulling out the damaged flooring to be restored or replaced. Afterwards the damaged sections of the drywall panels were also removed and replaced accordingly. As with all of our clients we took extra steps to help ensure the prevention of mold growth from the pooled water. 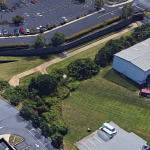 Using our equipment and experience the building was quickly decontaminated and restored. This included removing the waterlogged flooring, damaged drywall and reworking the electrical in the building. To help keep their business open while we worked on restoring the back side of the building; stands were installed on the main sales floor so the display carpeting could be available for the general public. It also allowed for the flooring to dry and our crews to have access to the flooring underneath it. 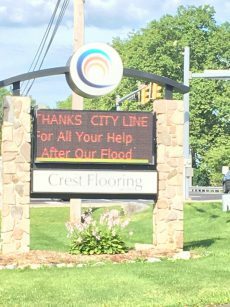 In working with and around Steve and his crews we saw first hand just how great the people of Crest Flooring really are. There dedication to being available to their customers and their friendliness was immediately recognizable and genuinely from their heart. If you want to learn more about Crest Flooring, or you are looking to have flooring done make sure to check out their website. They too were impressed with the work we did for them and the speed and professionalism in which we did it. 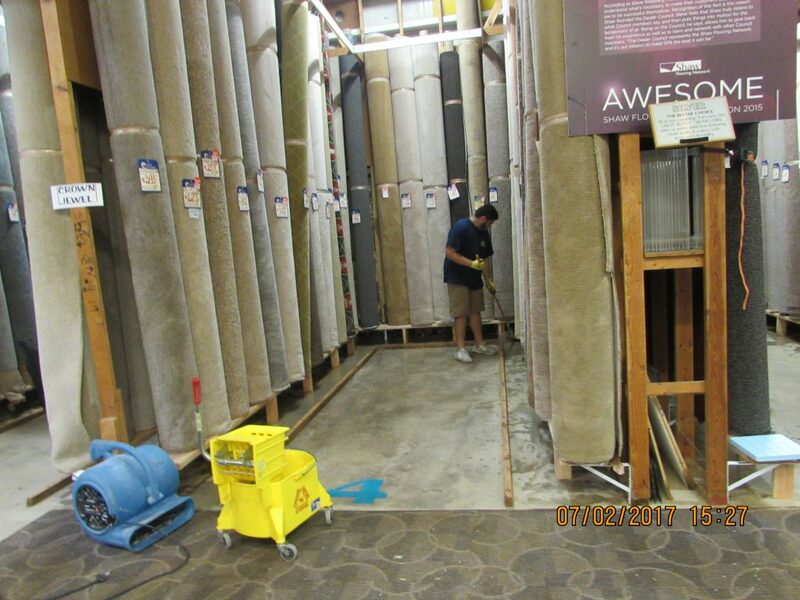 We were happy to help them return to full capacity so they could get back to flooring their customers with their products and services.